Where you will find the direction to play your BEST golf UNDER PRESSURE! Click here for more information on PBE status. **This event is not guaranteed PBE status. If this event meets e minimum field size requirements for any age division we will submit it to the AJGA for consideration. Trey Rath - Xavier U.
Davis Root - Wright State U.
Cole Corder - Wright State U.
Cole Walter - Davidson U.
Kyle Mitchell - Marshall U.
Erin Korn - Bowling Green U.
Makenna Brown - Florida Atlantic U.
Click here for a complete list of COGA Tour Alumni playing at the collegiate level. Overall Male Champion of each event and the Female Player of the Year will receive invitations to the 2019 Hudson Junior. 1. 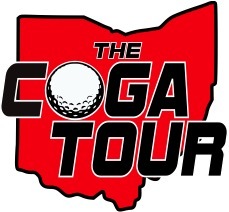 Click the red button to the left to become a COGA Tour Member. 3. ​Players will be added to the tournament field list (located on each events Info page) once event registration and entry fee is received.